We investigate the renormalisation group effects induced on neutrino mass and mixing parameters in a triplet-extended minimal supersymmetric standard model where a vector-like pair of hypercharge ±1 triplet superfields is added. We first rederive the one-loop renormalisation group equation for the effective neutrino mass operator and, for the case in which this operator originates solely from the decoupling of the triplets, the corresponding equations for neutrino masses, mixing parameters and CP-violating phases. We compare our results with the ones obtained previously, and quantify the importance of the RG induced corrections to neutrino observables by means of numerical examples. In the second part of the paper, we study the correlation of the model’s predictions for the lepton flavour violating processes ℓ i → ℓ j γ with the measured neutrino mass squared differences and mixing angles. We also emphasize the rôle played by the unknown reactor neutrino mixing angle θ13 and the Dirac CP-violating phase δ. We point out that, if tan β is large, the results obtained in the commonly made approximations may deviate significantly from the ones following from solving numerically the relevant set of renormalisation group equations and using the exact one-loop formulae for the decay rates. A. Rossi, Supersymmetric seesaw without singlet neutrinos: Neutrino masses and lepton-flavour violation, Phys. Rev. D 66 (2002) 075003 [hep-ph/0207006] [SPIRES]. S. Davidson, Parametrizations of the seesaw, or, can the seesaw be tested?, hep-ph/0409339 [SPIRES]. Daya-Bay collaboration, X. Guo et al., A precision measurement of the neutrino mixing angle θ13 using reactor antineutrinos at Daya Bay, hep-ex/0701029 [SPIRES]. Double CHOOZ collaboration, F. Ardellier et al., Double CHOOZ: A search for the neutrino mixing angle θ13, hep-ex/0606025 [SPIRES]. 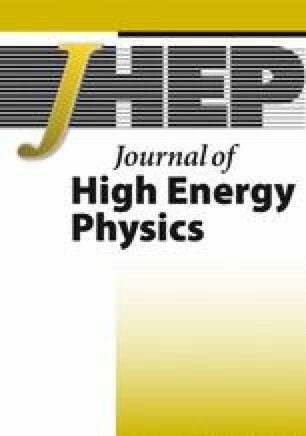 SuperKEKB Physics Working Group collaboration, A.G. Akeroyd et al., Physics at super B factory, hep-ex/0406071 [SPIRES].